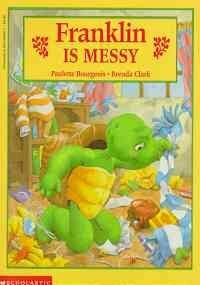 by Paulette Bourgeois, Brenda Clark | Children's Books | This book has not been rated. Registered by solittletime, Portland, Maine, USA on August 29 , 2017. Pre-numbered label used for registration. Paperback, scribbled in but still readable. Reserved for the August 29, 2017 SSM - Yellow, hosted by Readermax. Released in the Little Free Library at Black Cat Coffee, 463 Stevens Ave, Portland, Maine USA, around 7 PM on August 29, 2017.